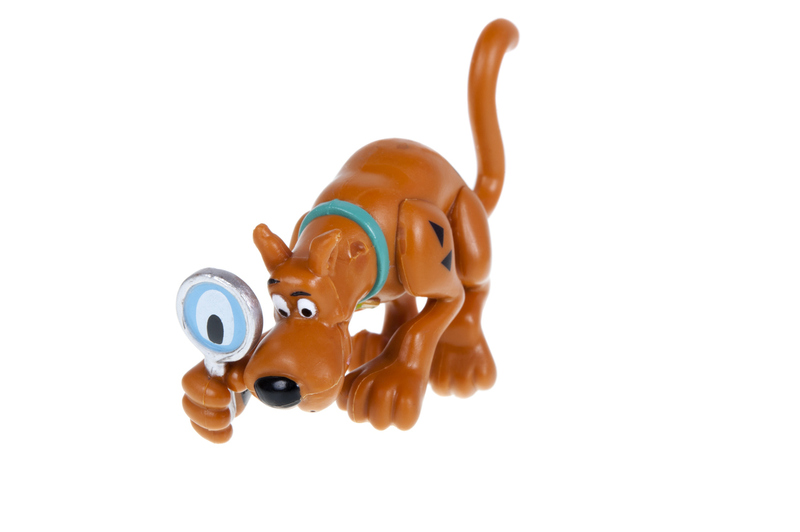 When 5-year-old Ryan had trouble “reading the room,” taking on a pretend-play role as part of the Scooby-Doo mystery team helped him think like a detective and look for clues to figure out what was happening in his environment. Tune in to the environment. “What Does Not Belong?” activities help children take notice of their surroundings and find things out of place, and allows them to work on flexible interpretations of events. For example, when told his next session would take place in the school lounge, Ryan asked if he’d play, “Guess Who?” because three weeks prior, he played “Guess Who?” at this location. In this scenario, we could work on using prior knowledge to interpret events. Understand and discuss object function. Accurately labeling objects doesn’t indicate comprehension of the objects’ function. In the lounge, Ryan noticed the air conditioner was making noise. He also noted the room was cold. He tuned into the environment and effectively labeled the object, but he didn’t link his observation of the air conditioner to the room’s temperature. Here, we worked on requesting more information to make an appropriate assumption. Regularly addressing object function builds deeper semantic knowledge, which contributes to inferencing skills in the environment. Ensure comprehension of categories and subcategories. Understanding why objects don’t belong together helps children create categories and sort objects so they can eventually make accurate connections. Ryan made poor connections between categories and subcategories, so when he examined a picture in the book “No, David!” where the main character plays outside and gets covered in leaves, Ryan called the leaves covering David “seaweed.” While he understood seaweed is a type of plant, Ryan needed help with context—seaweed is found on a beach versus leaves being in a backyard—as well as the objects’ categorical relationship to their environments. Always have students explain their thinking so you understand where they need extra support in learning inference skills. Understand parts-to-whole relationships. When Ryan was ready to describe David’s leafy decorations again, he explained David was covered in “flowers.” This observation led to a discussion of how leaves and petals are parts of a flower, but in this case, only leaves covered David. Our favorite way to address part-to-whole is to print a simple picture of a target object (flower). Next we cut the picture apart, label the independent parts, fit them back together, gluing them in place to re-create the whole object. Establish comprehension of cause/effect relationships. To accurately respond to “why” questions, children need to understand cause and effect, which requires sequencing skills. Visual supports, such as picture sequencing, can help explain how a cause leads to an effect. Use the terms “before” and “after” to relate cause and effect with sequential skills. Handwashing is an effective way to work on sequencing events and discuss purpose of an activity, such as washing hands keeps germs away. Maintain the topic. Conversation partners staying on topic makes conversations easier to follow, which allows participants to infer information. Ryan often generated tangential topics to avoid what he didn’t want to discuss. For example, when David’s adventures were challenging for Ryan to interpret, he repeatedly mentioned the movie “Boss Baby” and giggled, to escape the target discussion. He made a loose connection between David and Boss Baby’s appearances, attempting to sway the conversation where he had more knowledge. We like to use a visual cuing system where a colored pompom is dropped into a jar every time a tangential topic is generated. At the end of each conversation, we count how many pompoms are in the jar, and create a graph to discover how many times the original topic was lost throughout the session. When intended topics are abandoned, the ability to properly infer diminishes. Apply these skills in sessions to decode “secret messages.” Keep tasks simple and relevant to personal experiences. Wordless picture books provide a low-frustration, fun method to encourage children to infer image meanings. While examining the cover of “No, David!” Ryan had trouble acknowledging David’s poor choices. Ryan expressed the glass fishbowl could fall and break, but didn’t understand how pieces of glass might injure David. He needed support to explain why David’s actions had negative consequences. Collaborate with parents/caregivers/other professionals. When your budding detective is ready to use clues and to take good guesses about something not directly stated, give strategies to educators and caregivers so they can provide support for generalization of the child’s inferencing skills. After working through these steps, Ryan can’t wait to make connections from clues he’s given to solve mysteries like Thelma, Fred, Daphne, Shaggy, and Scooby by using his super-sleuth inferencing skills! How do you target inferencing skills in your practice? Share your ideas in the comments below. Awesome practical advice! I work on inferencing daily with my students and this article gave me additional activities and ways to target the skills I’m trying to increase. Thank you! As a neurodiverse parent with a son on the spectrum, I read this site to enhance my parenting, as well as to learn. This wise post opened my eyes to strategies and realities i hadn’t ever considered (parts to whole, for example).